At Royal Columbian assisted living care in Kennewick, WA, our goal is to give our community members a helping hand with life's more demanding daily chores. Our trained, 24-hour nursing and management staff is always available to help with needed day to day activities like dressing, bathing, and medication management. In fact, our team is so skilled that we have not one, but two Registered Nurses on-site to help with any needs our residents may encounter. In addition, to help with daily activities, residents will appreciate all of the amenities that come with life in our community. Whether it's settling in for a good movie in our designated media room or admiring the fresh scent of Washington pine trees while out on your own private balcony, we can help you live like royalty at Royal Columbian Retirement Inn. 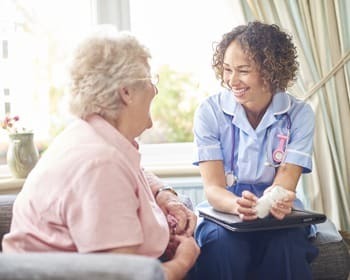 Visit our community or call us today and find out why the assisted living services at Royal Columbian Retirement Inn are some of the top in Kennewick!